This telecom company will not seize to amaze me. I was just surfing some few hours ago when I saw this tweet from Glo. 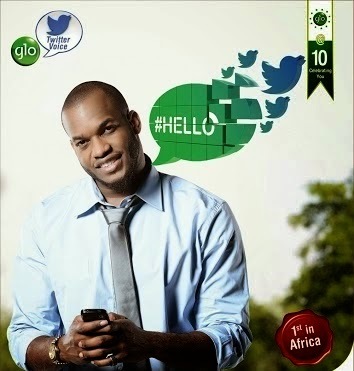 As it goes, with Go twitter voice update you can now tweet voice on twitter; instead of struggling with your qwerty keypad from your smart phone, why not activate Glo tweet voice on twitter. To activate, sms JOIN to 3033 or dial 3033 and press 1. To deactivate, send STOP to 3033, Charges apply N25/weekly and Browsing N10/minutes. Note please, don¡¯t let anybody deceive you that you can use Glo BIS or Etisalat Bis which gives you 3GB on PC. At the moment, it¡¯s not working at all. Don¡¯t even think of subscribing for that package for the purpose of using it on PC or you kiss your 1k good bye forever. If it¡¯s working on pc I¡¯ll let you know.